Do you want to know how to develop positive connections with your students? Ephraim Domingo, a teacher from the Philippines, has been with Skyeng since 2014 and had 3450 lessons so far. 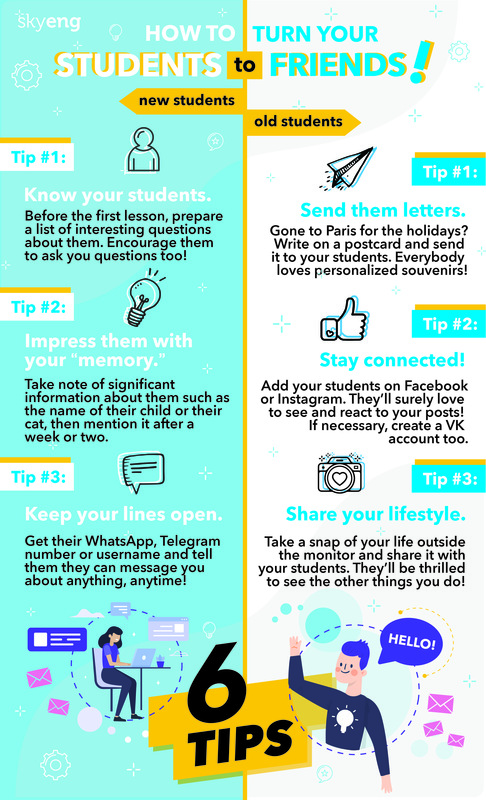 In this infographic, he shares his tips on building positive, trusting relationships with students.